The on-line version enables you to manage your users, factories, formulae and work orders instantly, easily and by remote. It is ideal for multinationals and for suppliers with international customers. Easier administration: our software is installed only once, on your database server, and is then maintained from a single location. 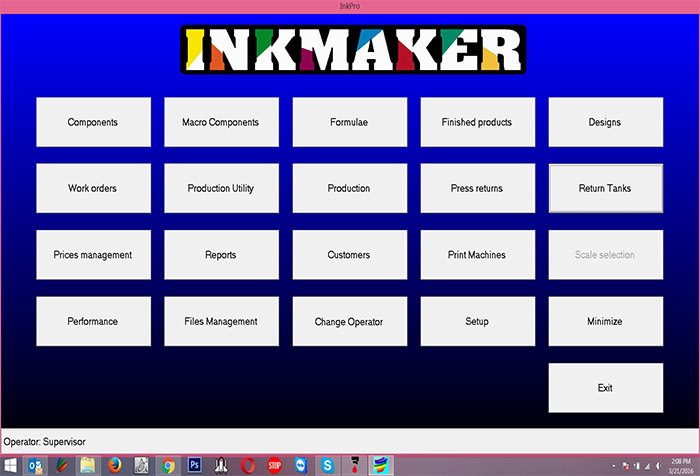 Alternatively, we can hold your database on the Inkmaker server, completely freeing you from maintenance work. Worldwide accessibility: you can connect to the central server whenever, wherever. Product consistency: holding all your corporate product standards on a central server ensures total consistency. Speed: software that runs on a dedicated server generally performs faster than on a hard drive. Economy: for companies with multiple users, centralized software cuts the cost of software ownership.